Irish stuff… last weekend was Dublin Ohio’s St. Patrick’s Day celebration… this weekend St. Patrick’s Day celebrating moves to downtown Columbus. I am off to the parade. The Shamrock Club of Columbus website it the place to find info on celebrating St. Patrick’s Day from the mass at Holy Cross Church (too late started at 9:30….) 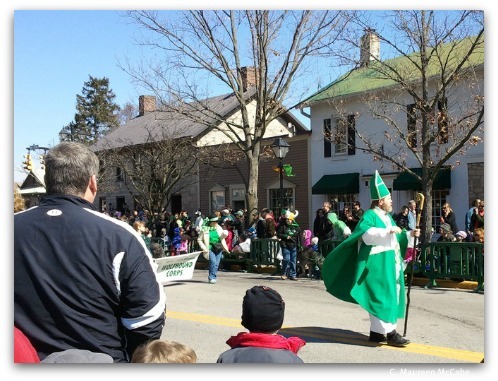 to the parade, to the Irish Family Reunion to…. The auto show is going on at the convention center too isn’t it? A few years back (Ok maybe 5 years ago?) when people were in Columbus for basketball… March Madness the Columbus Dispatch had an article about what there was to do in Columbus. It was the Saturday of the Dublin celebration of St. Patrick’s Day (last Saturday this year) and visitors were whining. The Columbus Dispatch quoted the basketball visitors saying it was too cold for a parade and too cold to go to the Columbus Zoo. No such excuse this year. Whenever in doubt about what there is to do in Columbus, use the ExperienceColumbus.com site. Next post: Columbus Home Search: Which look?